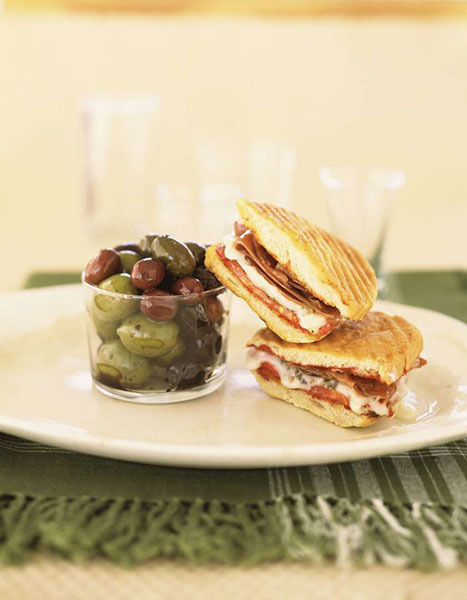 Made using either rosetta, baguette or ciabatta bread, the panino is a grilled sandwich filled with deli items like mortadella, salami and cheese. It is best eaten after it has been pressed in a grill. 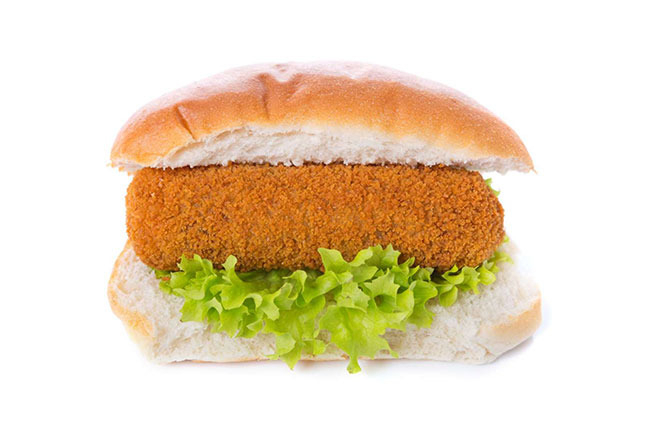 This Dutch sandwich has a fried roll made from potatoes mixed with meat wrapped inside soft white bread. 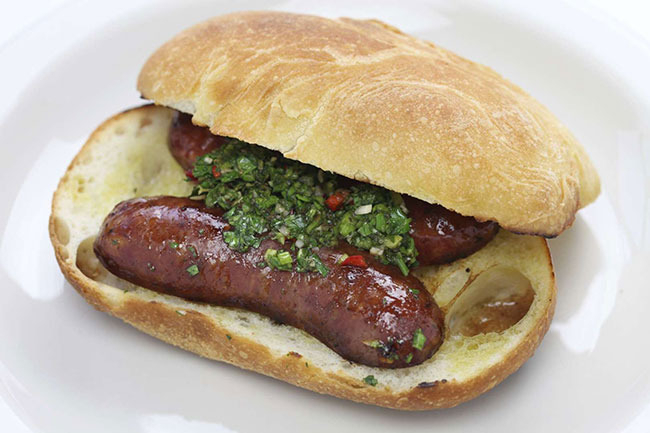 The name of this sandwich is a combination of its ingredients: chorizo (sausage) and pan (crusty bread). It is eaten across the South American countries as an appetizer. 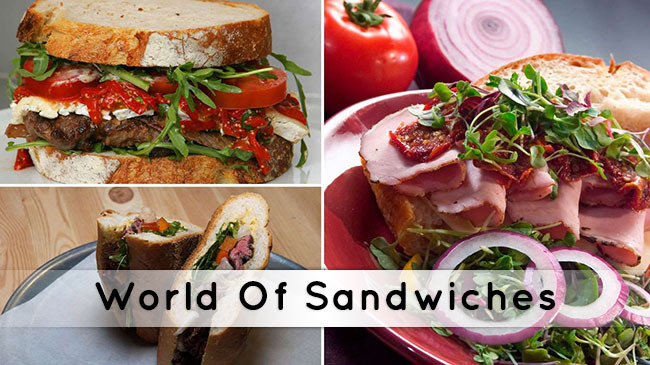 An extremely flavorsome sandwich that is a delight for lovers of spicy and juicy food. 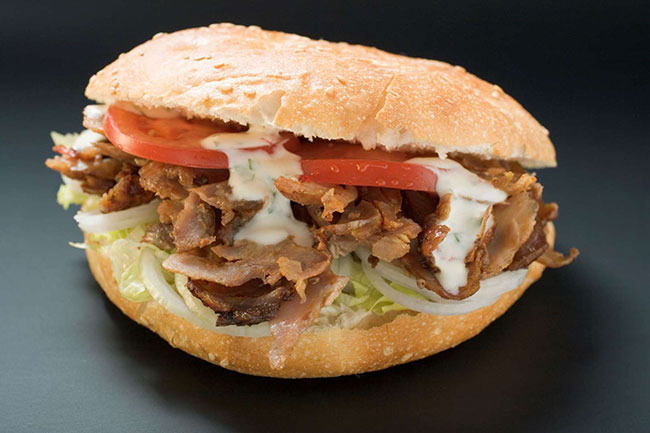 A popular sandwich eaten throughout Turkey, the doner kebab is made by putting meat (veal, beef, lamb or chicken) and pickled vegetables inside a vertically-split bread. A heavenly delight for meat lovers. 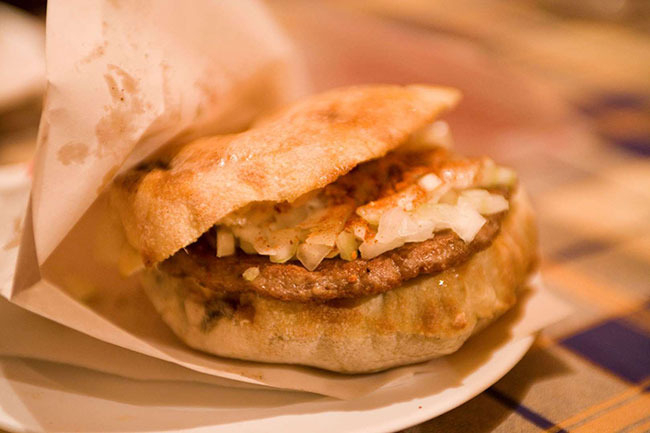 Among the most popular Serbian dishes, pljeskavica served as a patty made from ground meat, vegetables and seasoning, along with a thick pita bread. 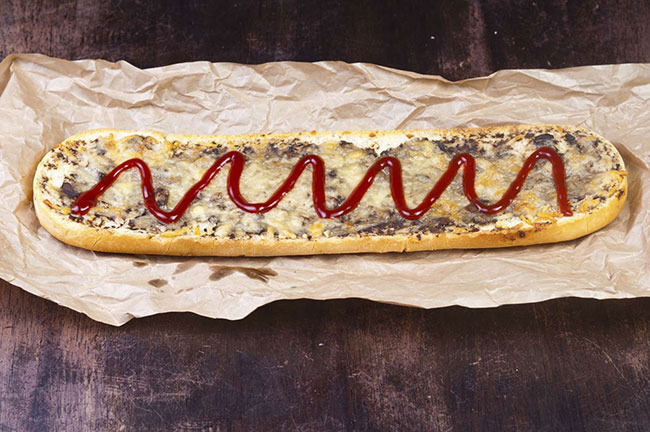 One of the most popular fast food dishes in Poland, the zapiekanka is a baguette with an open face that is stuffed with meat and vegetable. Melted cheese is added on top of this sandwich to further enhance its flavour. 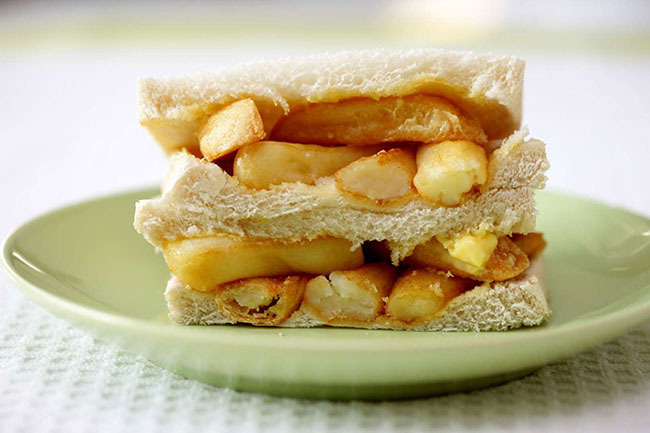 Just like its name, the chip butty is a simple yet fun-filled sandwich comprising bread, potato fries and tomato ketchup. Nothing less, nothing more. 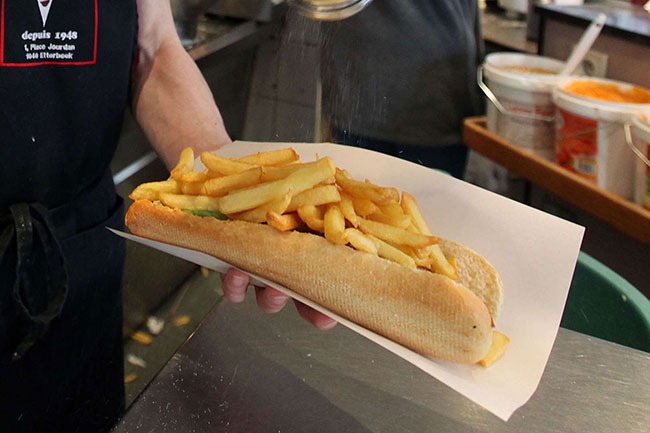 Similar to the English chip butty, mitraillette is cooked using a baguette-style bread, which is filled with fried meat, potato fries and then seasoned with ketchup or mayonnaise. 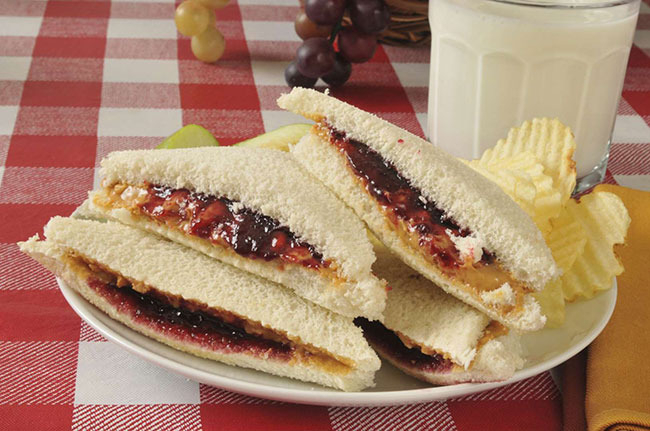 A favorite among children, the peanut butter and jelly sandwich has become a part of popular culture over the years. A must-try dish for anyone visiting the United States. Leberkäse is a German specialty that baked as loaf after finely grinding corned beef, bacon and onions. 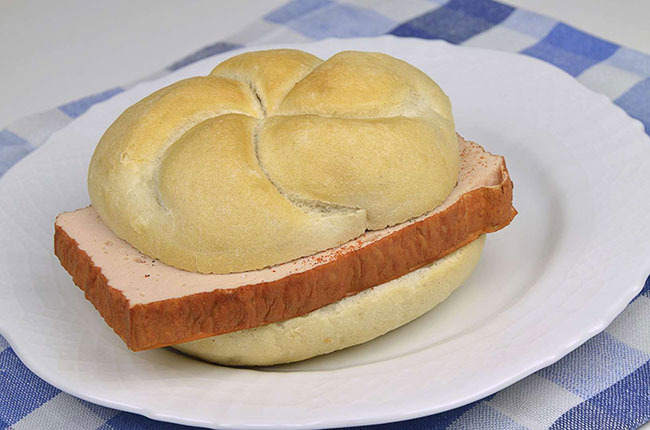 The sandwich, known as leberkäs semmel or leberkässemmel, is traditionally served with hot mustard. 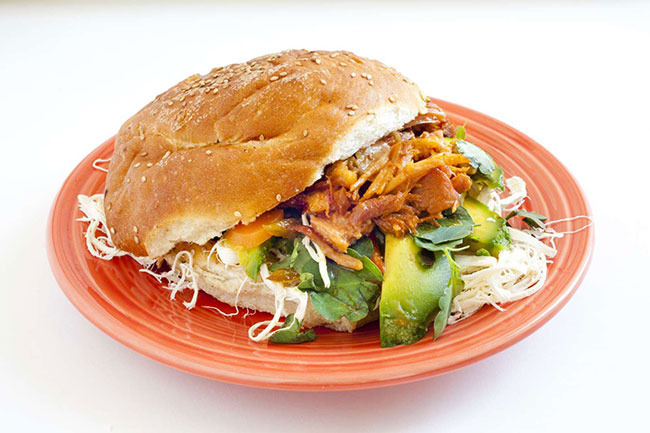 The egg-based bread is topped with layers of fried meat, salsa, herbs, white cheese and avocado in this famous Mexican sandwich, which originated in Puebla. 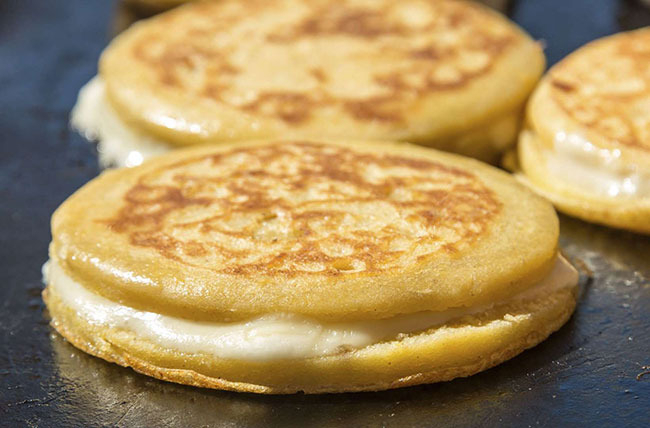 Typically referred to a flatbread made using maize dough, arepas can be made into sandwiches by filling its pockets with various ingredients, such as cheese, avocado, beef and pork among others. 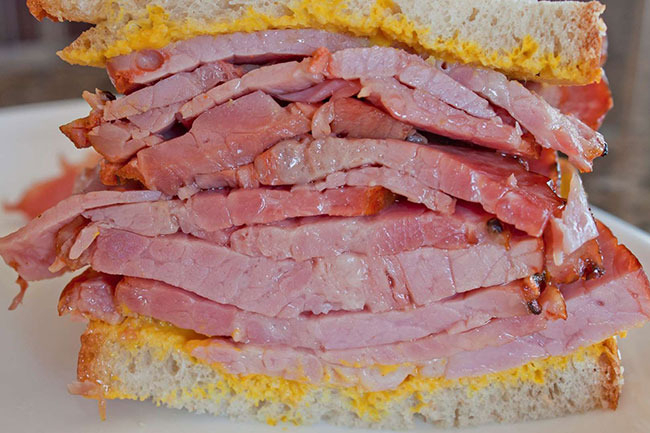 A can’t-be-missed food item for non-vegetarians visiting Canada, this sandwich is prepared by stacking hand-sliced pieces of deli meat on rye bread, which is then topped with mustard for that extra zing. 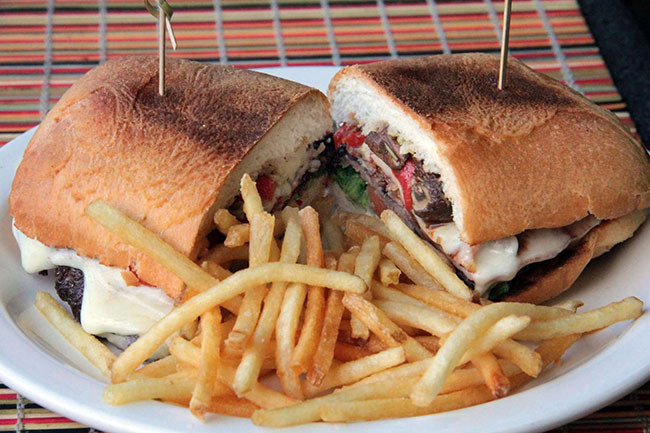 A sandwich loved throughout Uruguay, the chivito comprises beef/bacon, tomatoes, olives, cheese and mayonnaise, which are stuffed inside in a bun and usually served with French fries. 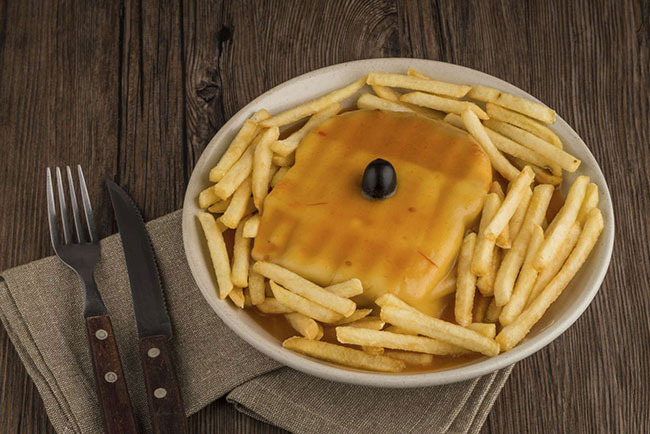 Although eating it could be a messy affair, the francesinha is a must-have when visiting Portugal. The main ingredients of this sandwich are bread, fresh chipolata, roasted meat, hot tomato sauce, ham and lots of melted cheese. Famous throughout Malaysia as a breakfast and snacks item, roti john could be termed as an omelette sandwich that is dressed up with ingredients like onion, tomato-chilli sauce and minced meat. Another sandwich cooked using baguette-style bread, the bocadillo is an integral part of Spanish tapas food items. 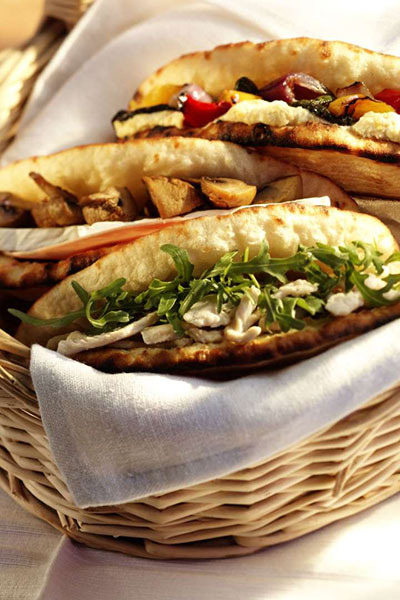 These sandwiches comes in different avatars: omelette, cold meat, cheese, fish,egg and sweet bocadillos. 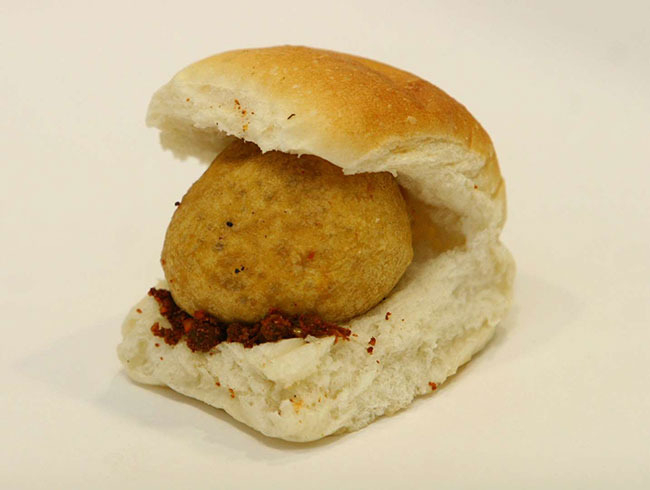 A dish popular in the western and south-western parts of India, the vada pav is made from a vada (potato fritter) and pav (bread). It is highly recommended for anyone visiting the Indian states of Maharashtra and Goa. 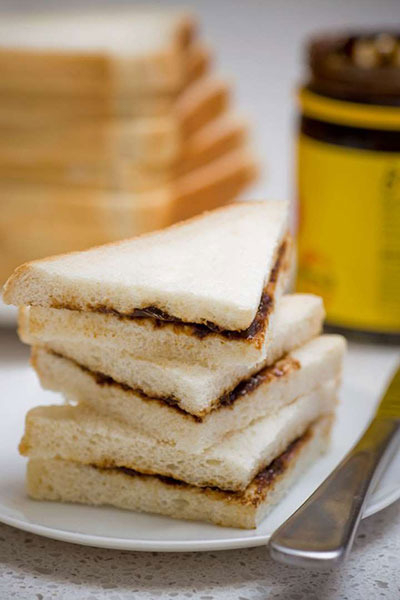 A favourite breakfast sandwich among Australians, this simple dish is made by putting Vegemite spread on slices of bread. Vegemite is a food paste made from yeast extract.